How the advent of Tech-Tools is altering the pedagogy for Teachers? Technology is emerging as a preferable possibility for elevating the concept of anti-oppressive education that is “multiple approaches to learning that challenge forms of oppression”. It is a point to be acknowledged that students these days are already on a familiar level with the changes that technology beholds for them. They have adapted to the new trends of automated world which creates a feasible opportunity to integrate various forms of technology in the classroom setting. But if we consider the minimal exposure of technology from the viewpoint of teachers then the situation gives rise to the concept of tech literacy. What is online examination (online tests)? What is online examination? In today’s time when technology is governing the world then how can we think that something as important as exams can be left untouched by the grace of it. Hence, online exam is a great medium to test the intelligence of a group of people participating from around the world, in regards to a given topic. Online examination system has made it possible for the students to give an exam according to their convenience and availability of time. With the boom in technology, internet is the best gift that humans have cherished to enhance their capabilities. It has taken almost every field and most importantly the education segment. This includes the switch of traditional classrooms to smart classes that emphasis on the use of audio video aids. Even though has completely defined a new platform to the learning methodologies. Think Exam provides various features which make it a user friendly interface, Think Exam is the best platform to prepare, practice and perform in the examination. What is the use of tags in Think Exam? Think Exam is the best platform to prepare, practice and perform in the examination. This online examination system provides primitive tools and added features with an impressive user interface. The user can easily create a variety of online assessments to the candidates preparing for examination, competition, recruitment, and more. 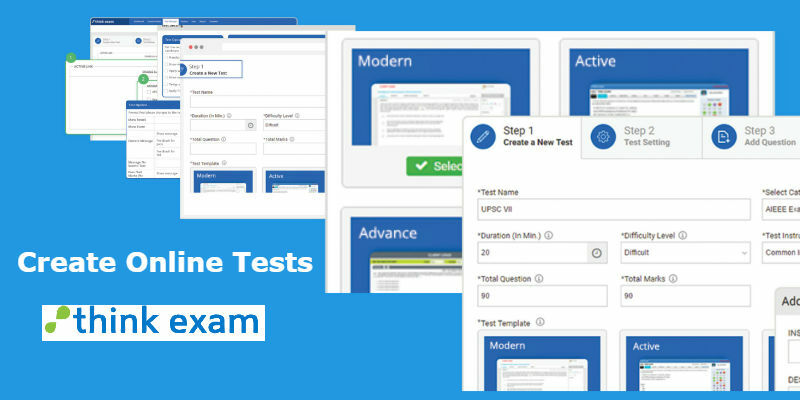 How to create online tests on Think Exam? 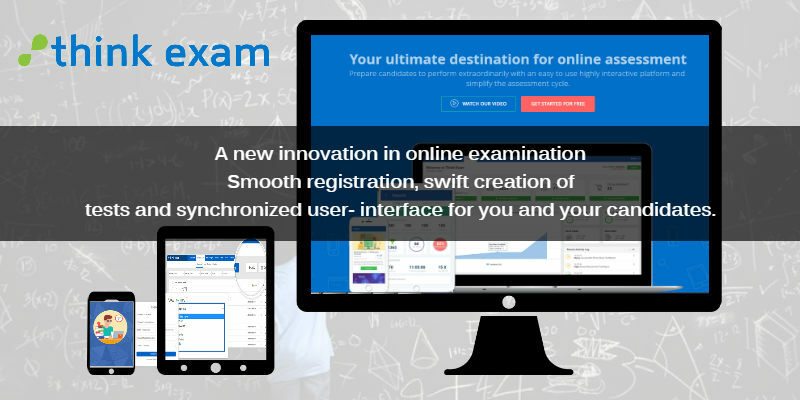 Think Exam is a perfect blend of advanced functionality and streamlined accessibility. 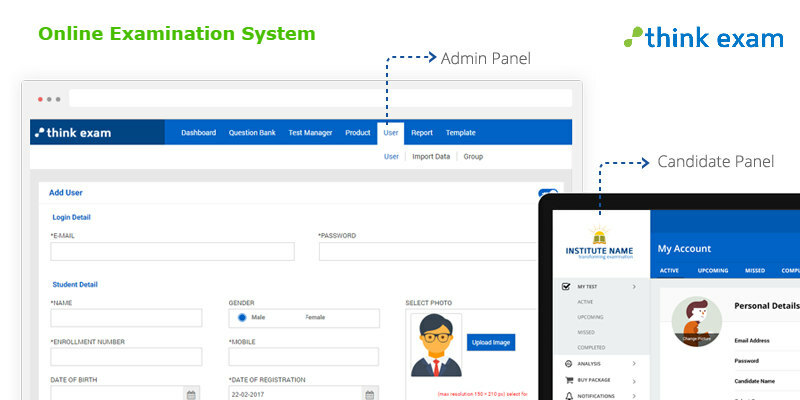 This online examination system helps in conducting an examination and assessment, thereby developing a premium communication link in-between the assignee and the assessee. The easy to learn and use highly interactive interface is developed to provide a channelized flow of information. Think Exam is an Online Examination System, featured by Ginger Webs Pvt. Ltd. This system is designed to offer a systematic management of examination and assessments. The goal is to provide an online examination platform incorporating the advance testing tools that ensure a glitch-free transactional interface. Advantages of using an online examination system? The examination is considered to be the most important phase of checking the knowledge and analyze the ability of a candidate. It is a test that is conducted to mark the performance of the applied group. The examination may be a written test, oral viva, an on-screen questionnaire or a practical test.